“In 2012 our third son Felix was born. At only 2 weeks old it became apparent that he was struggling to thrive and we were consequently referred to a myriad of specialist healthcare services within the NHS. All of them superbly caring and supportive. Felix remained somewhat of an enigma to all involved in his care and he had become entirely dependent on nasal (NG) tube feeding at a very early stage. 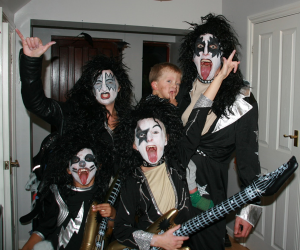 In retrospect the constant demands of that time were exhausting even punishing given that we needed to continue as parents to our other two elder boys and as a couple to support each other. It took until he was almost 18 months old to reach a diagnosis via genetic sequencing. His condition CFC Syndrome is so rare that only approximately 500 cases have been formally diagnosed to date across the whole world. His diagnosis left us with a huge sense of sadness and isolation, not knowing his life expectancy, or what kind of life he would lead. A Facebook group for families dealing with CFC syndrome has been pivotal in our coping strategy. The most important thing to help us continue to function and try to cope is care and respite from friends and family. It is often so difficult to perceive the impact of Felix’s disabilities on our other two children and on us as parents and as a couple. Times are sometimes quite bleak with continued sleep deprivation and his relentless healthcare appointments on top of his inability to walk or eat solid food. We live day to day with huge peaks and troughs in our ability to function and cope but look forward to small pleasures such as days out and trying to build memories for all of our children. 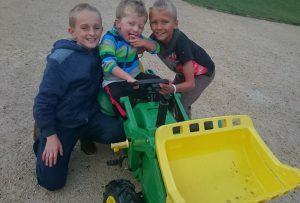 The Sandcastle Trust was introduced to us via a family whom we know via the CFC Facebook page. 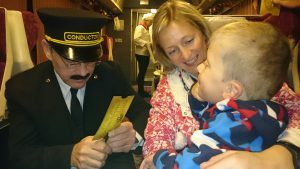 We were fortunate enough to be offered complimentary tickets on a Polar Express train ride for us all via the charity. 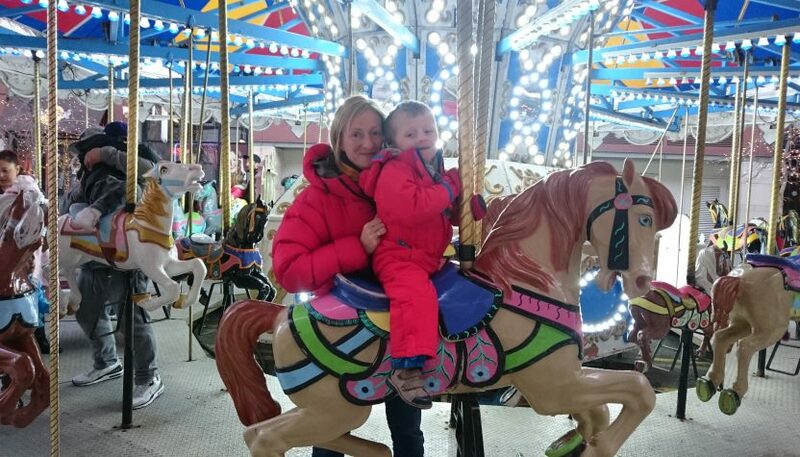 We had a wonderful evening, with all the children enjoying seeing how magical an experience it was for little Felix. We have a few friends dealing with disabilities and genetic problems such as Down’s Syndrome. Their difficulties are every bit as challenging yet for many genetic conditions there is a community of other people close by. These support networks are immensely important and critical to help parents cope and have some perspective and reassurance. They also offer unexpected friendship and a shoulder to support families in difficult times.